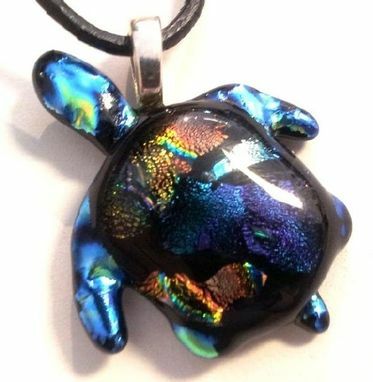 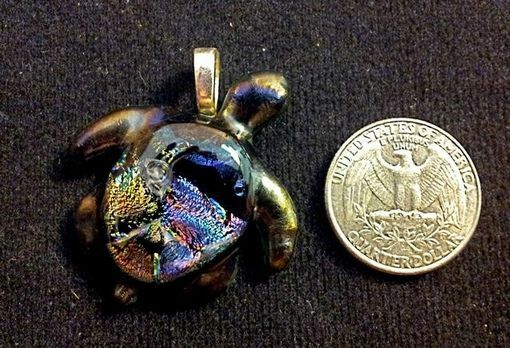 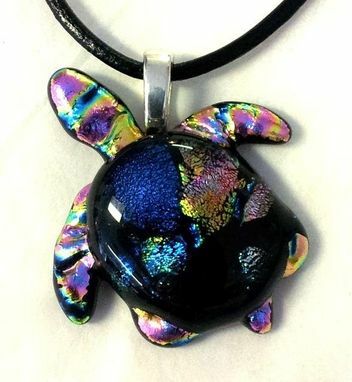 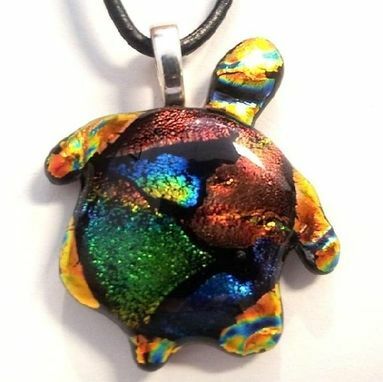 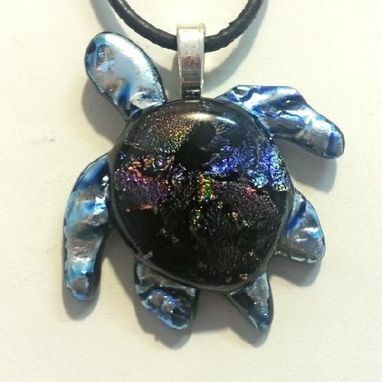 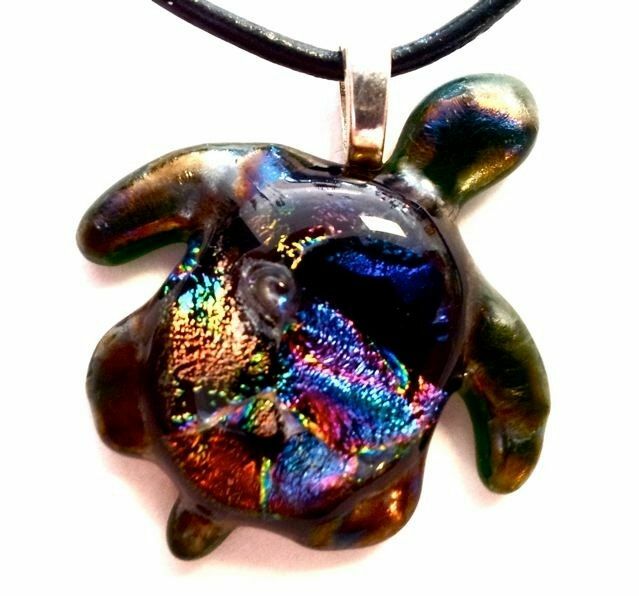 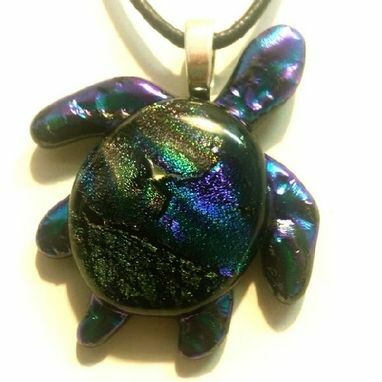 This adorable turtle pendant gives a nod to the real thing with fragments of differently-colored dichroic or dual-toned glass fused together into the pendant's "shell.'' 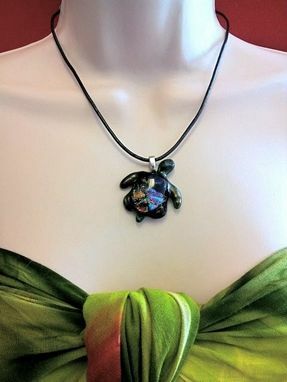 Perfect for animal lovers and water babies, as well as anyone who can appreciate a fine yet inexpensive piece of artisanal jewelry. 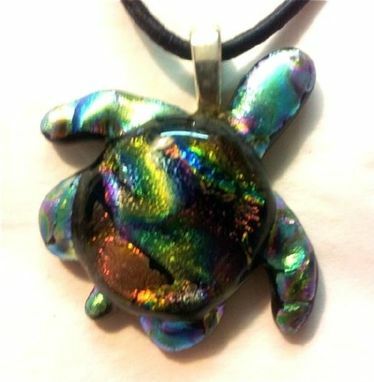 The 1 1/2'' pendant comes with a 17'' leather cord.